After years of working in the industry, a new concept was born… We wanted to bring a mundane sector out of its shell and fill it with colour. Starting out in 2014 as a small family business, we are, and always will be, dedicated to offering UK businesses with their everyday work essentials. Friendly customer service is at the epicentre of our every movement! We promise to treat every customer, big or small, with the same level of service. We promise to keep our prices as low as possible for everybody. We promise to be here for you whenever you need us. Businesses and home users can come to us for advice on anything printing or office supply related. Q: Did you name yourselves after a particular gem stone? A: Quite… GEM took its name from the initials of our owner’s daughter. She is very proud to wear her GEM Inks hoody and help Daddy with deliveries! The business was set up with little Grace’s future in mind, and some of our proudest moments are seeing her interacting with our customers, confirming our family ethos. Q: Who’s on the team? A: Currently we have David our owner and our manager Louise - But if you count our select local partners, manufacturers, suppliers and couriers then you have a humongous range of hands on deck! Q: Do you exist outside of the internet? A: Yes! It’s important to never forget that there’s a world outside of your screen! We are very much active members in the community. 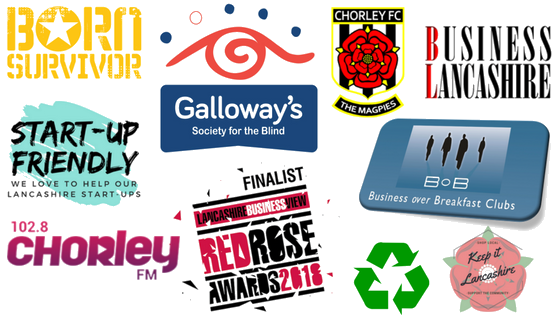 GEM Inks support Chorley FM through the 100 Club, we are members of various local business networking groups, we support and recommend other local businesses daily, and we have an ongoing fundraising partnership with Galloway’s Society for the Blind. Q: What are your values? A: We are dedicated to helping in any way we can and do so to the best of our ability. Ultimately, our collective core values favour staff well being, environmental awareness and untouchable customer service. We invest in our local causes, economy and people because we cannot think of anything more important. A: GEM Inks service the whole of the UK from the breezy, green hills of Lancashire. Users can enjoy our friendly service and premium products at affordable prices, whether they’re local or not. We have a lot of great relationships with businesses from Chorley, Leyland, Preston, Blackburn, Burnley, Accrington, Clitheroe, Rawtenstall and Manchester (pretty much across the whole North West of England). Remanufactured cartridges are used OEM cartridges which have been cleaned, serviced, refilled and tested before being repackaged. 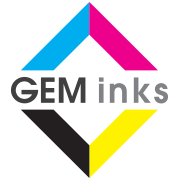 All our remanufactured inkjet and toner cartridges are guaranteed to work as well as OEM's but provide a cheaper and environmentally friendly alternative. They will yield the same, or more, number of prints as the originals and there is no reduction in print quality. The internal components of our remanufactured toners have been completely replaced with new parts manufactured to the highest standard.